An Irish woman let loose an expletive-riddled drunken rant on an Air India flight after the crew refused to serve her more wine. The passenger was travelling business class on a flight from Mumbai to London on Saturday. In a video that is circulating on social media, the woman is seen shouting and using the most abusive language at the crew. 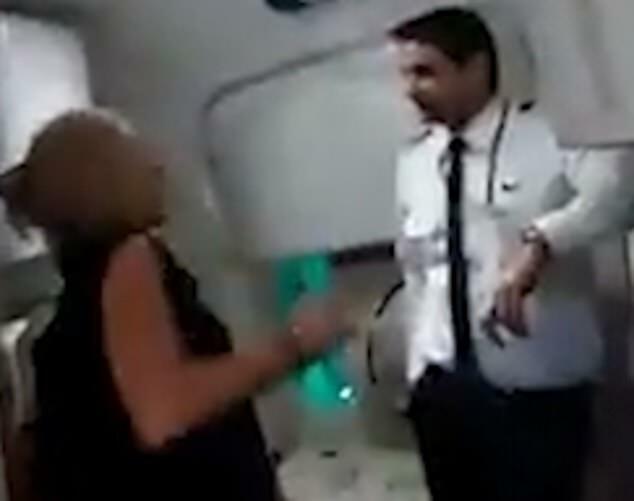 "I am a f***ing international lawyer," the woman yells at a crew member who stays calm. She also spits at the crew and directs her rage at a woman flight attendant. The mobile phone video was apparently taken by a crew member. The woman was reportedly arrested when the Air India flight landed in Heathrow. She was described by the crew as very drunk when she insisted on a bottle of wine. The crew reportedly complained to the pilot and refused to serve her any more drinks. Reports suggest she even swiped a bottle of wine from the food trolley. "You are the captain, aren't you? You treat business class passengers like this? I work for all you f**king people... The f***ing Rohingyas, the f***ing people of all Asia, for you, an international criminal lawyer. Don't get any money for it by the way. But you won't give me a glass of wine, is that correct? "she screams and claps. "If I say boycott Air India, done!" "Calm down, no touching," a crew member is heard saying. She continues her tirade at her seat, while incessantly demanding wine. "I am a human rights lawyer...an international criminal lawyer...You think I'm scared," she shouted, as other passengers stayed quiet and unmoving.